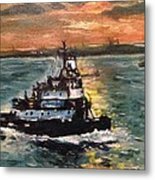 Detail Of Tugboat In Upper New York Bay by Victor SOTO - 10" x 8"
Detail Of Tugboat In Upper New York Bay poster by Victor SOTO. Our posters are produced on acid-free papers using archival inks to guarantee that they last a lifetime without fading or loss of color. All posters include a 1" white border around the image to allow for future framing and matting, if desired. 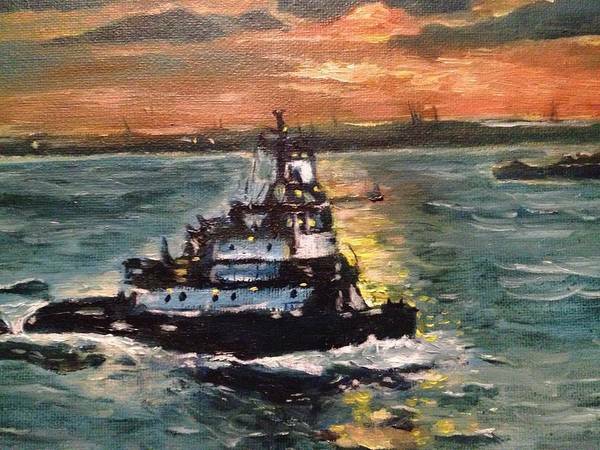 There are no comments for Detail Of Tugboat In Upper New York Bay . Click here to post the first comment. 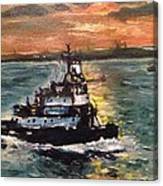 Detail of Tugboat in Upper New York Bay. I enjoy painting landscapes and portraits. I have always had a passion for the arts and began drawing at an early age. I primarily work with oils, but I can also do detailed pencil sketches if anyone is interested in the medium. I will work from photos to your specifications. If you are interested in purchasing any original work, please visit my shop at www.etsy.com/shop/Camaseyes. Thank you for your interest in my work.